live broadcast began in 1999. It was the first private television station in Tirana. It is available in most regions of the country. Vizion Plus live broadcasts are also available in Europe through Tring Digital and in North America on IPTV. It stands in the top 3 most watched channels in Albania. The schedule consists of movies, series, entertainment and reality shows. 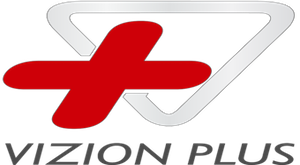 Vizion Plus live stream is also available on the official website.For more details on the TV channel, to watch the live stream of Vizion Plus online or specific information such as programs, shows or vod please check the official website. The TV online programming includes shows and programmes like Dancing with Stars, Debat, Sketch Show, By Pass Show, Ora 5 PM, FBI Files. Vizion Plus online stream is aired live from Tirana.